It’s been almost thirteen years since I invented the card game Gloom in my basement in Boulder, Colorado. 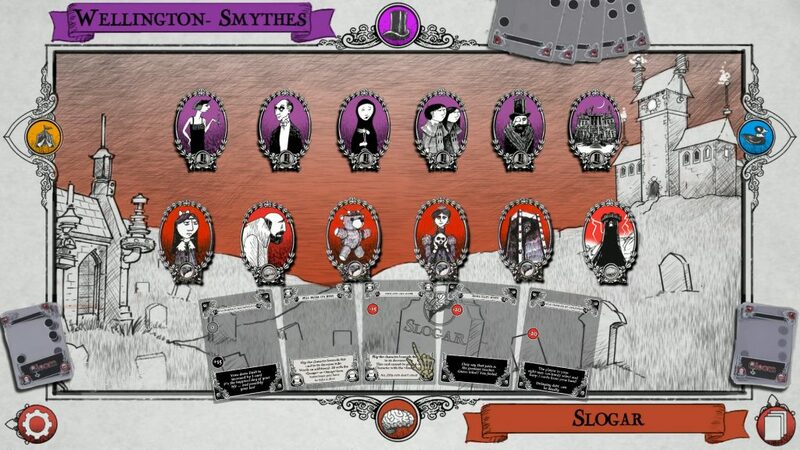 As a longtime fan of Edward Gorey, Charles Addams, Gahan Wilson, Lemony Snickett and others, I wanted a game about telling the most miserable tale. Over the years a number of new versions of Gloom have emerged. In Cthulhu Gloom you want your family of investigators to go mad and come to an unhappy end. In Fairytale Gloom you want to find the unhappiest end to your tale. And in Munchkin Gloom, you want to describe the worst dungeon adventure in history. I love playing them all, because I love seeing the stories that emerge from each game. Now, Skyship Studios has taken to Kickstarter to create a digital version of Gloom. Initially, they are developing the game for the PC; if it is successful, they will develop a tablet version. The game will support both single player and online play, allowing you to craft your gloomy stories with friends across the globe. 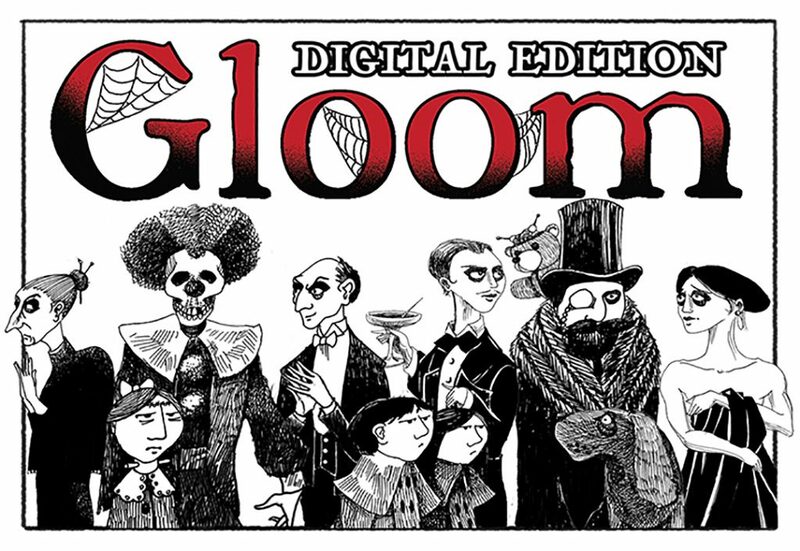 Creating a digital version of Gloom is a tricky business, since storytelling is an integral part of the Gloom experience. But every medium has something to offer. In Skyship’s Gloom, the characters themselves will come to life (before tragically dying). The characters will be animated and speak for themselves, providing their own take on the misfortunes that come their way. Beyond this, Skyship is continuing to explore ways to bring the flavor of Gloom to the digital experience. Just to be clear: I’m not part of Skyship Studios and I’m not running this campaign. However, I am thrilled that Skyship is working to bring my game to life in a new medium, and look forward to playing it. 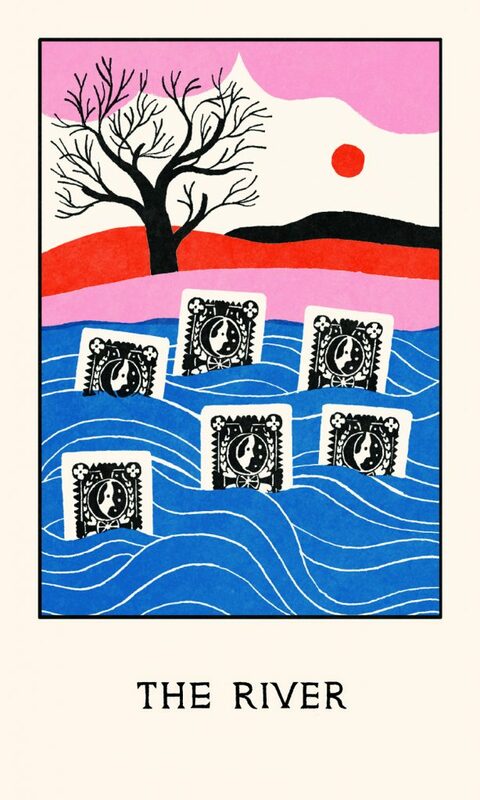 So if you like Gloom, please check out the Kickstarter here! In May I successfully raised the funds to produce Phoenix: Dawn Command, thanks to 1,100 awesome backers. I’m continuing to work on Phoenix and I can’t wait to share it with the world. 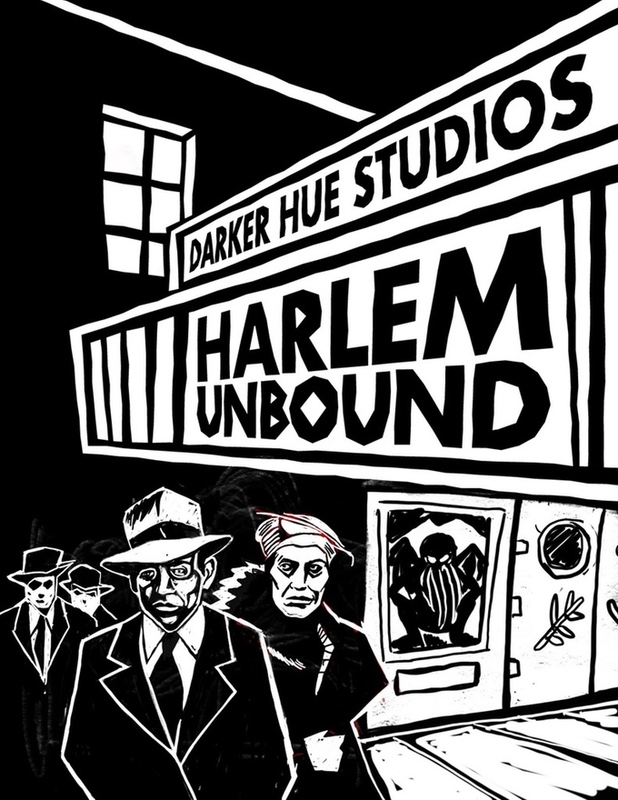 In the meantime there’s a new host of crowdfunding projects up online. I’m pitching in on one of them, but I think they’re all worth a moment of your time. Take a look and see if any of them interest you! And if you’re curious what I’m up to or came here looking for an Eberron Q&A, check out my previous post! 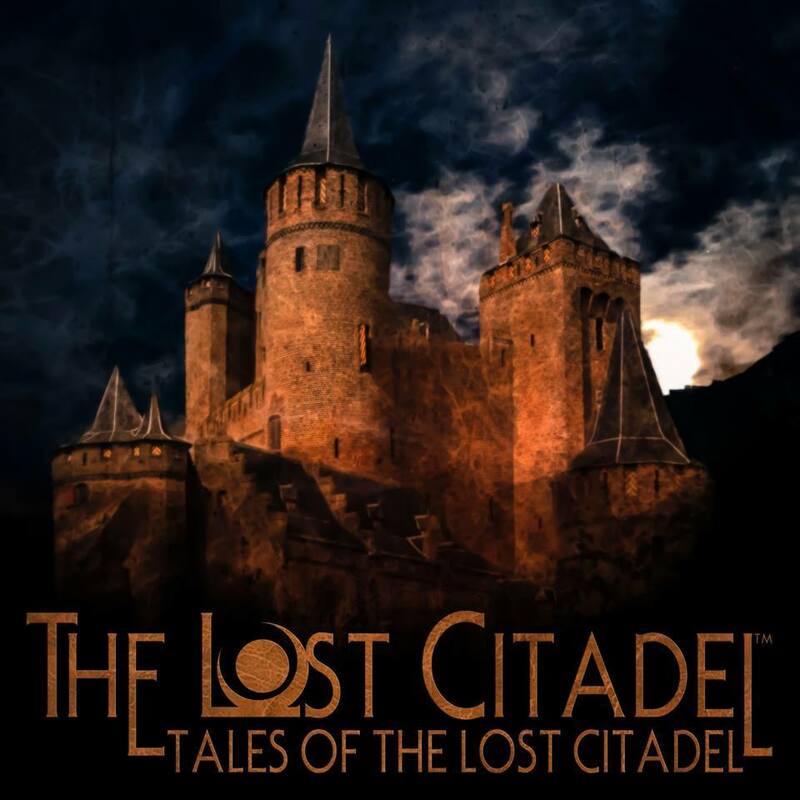 TALES OF THE LOST CITADEL is a transmedia anthology, blending fiction, art and music together to create a compelling and terrifying fantasy world. For all intents and purposes the world of Zileska has come to an end, but there is one last bastion of civilization in this world of the dead: the city of Redoubt. Project organizer C.A. Suleiman has assembled a remarkable team, including Ari Marmell, Erin Evans, Todd Lockwood, Janet Morris, and many more… including a story by me! As shown by Phoenix, I love the intersection of horror and fantasy. Zileska is a fascinating world, and I want to see more of it, so please help make this project a reality! 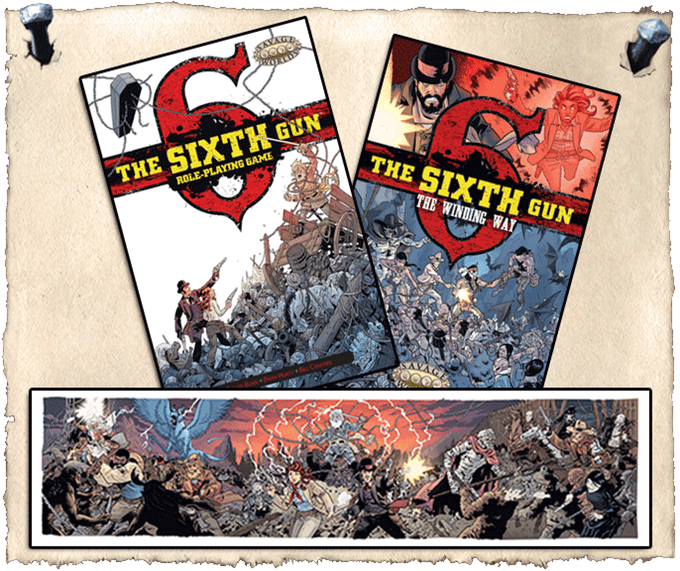 THE SIXTH GUN is a series of graphic novels created by Cullen Bunn and artist Brian Hurtt. It’s a fantastic supernatural Western adventure. Reading it made me want to play Deadlands. Now Pinnacle Entertainment Group – the creators of Deadlands – are creating a Sixth Gun RPG that will be completely compatible with the Weird West! As of my writing this, there’s only 26 hours left in the campaign – so if you’re interested, check it out now! 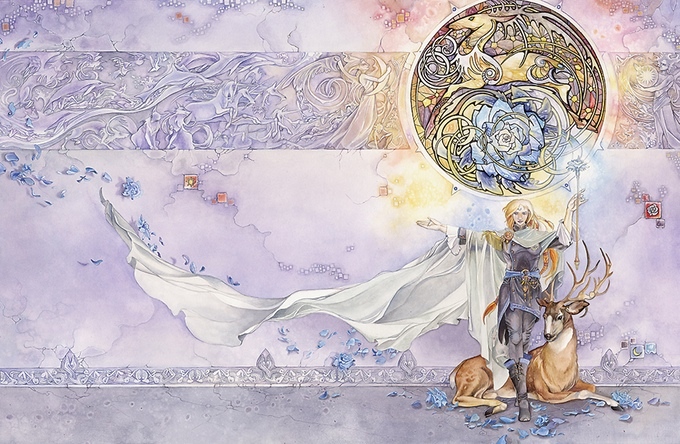 BLUE ROSE is The AGE Roleplaying Game of Romantic Fantasy. 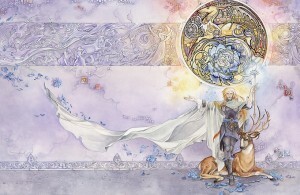 The first edition of Blue Rose was released in 2005; this campaign is creating a new edition using Green Ronin’s AGE system, as recently seen in the Titansgrave: Ashes of Valkana webseries. I admire Green Ronin’s work and their drive to go beyond traditional fantasy tropes. Take a look and see what you think! Finally, SHERWOOD’S LEGACY is the latest game from designer Thomas Gofton. It’s described as a cooperative tower defense game; working as a team, you must hold out against the forces of the Sheriff for ten turns. This is fully funded and stretch goals are being unlocked: there’s one week left to go! What are YOU funding? Post in the comments! 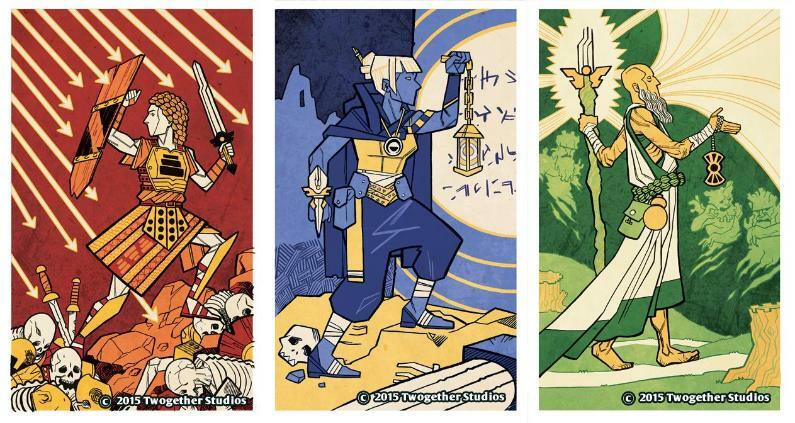 Creator Mike Selinker describes Apocrypha as the next evolution of two games that he helped to create: The Pathfinder Adventure Card Game and one of my favorite board games, Betrayal At House On The Hill. 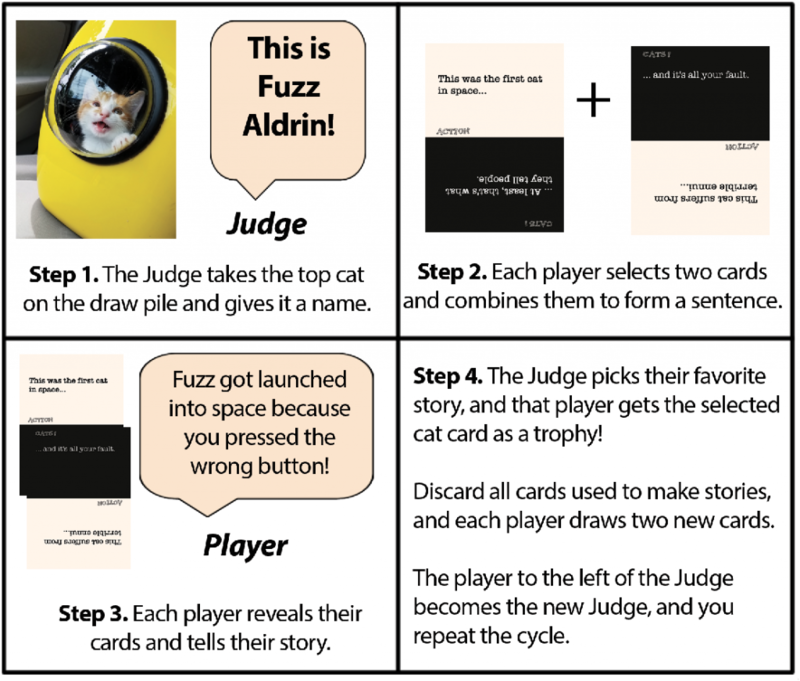 It is a massive game – if you get the full edition, it comes with over a thousand cards. I’m not backing Apocrypha… because I’m part of it! Apocrypha’s stretch goals include Chapters that add more content to the game, and I’m working on the Book of the Dreamer. 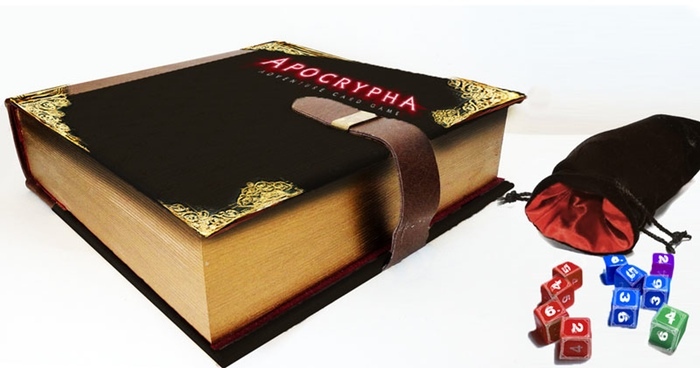 At this moment Apocrypha has six days left – check it out! Campaign Coins makes awesome coins with a great weight, and I’ve found lots of ways to use them over the years. However, there’s less than a day left in this, so if you’re interested you’ll have to act fast! I only found out about this yesterday, but I’ve run into a number of people who are very excited about it and the basic concept is certainly intriguing. 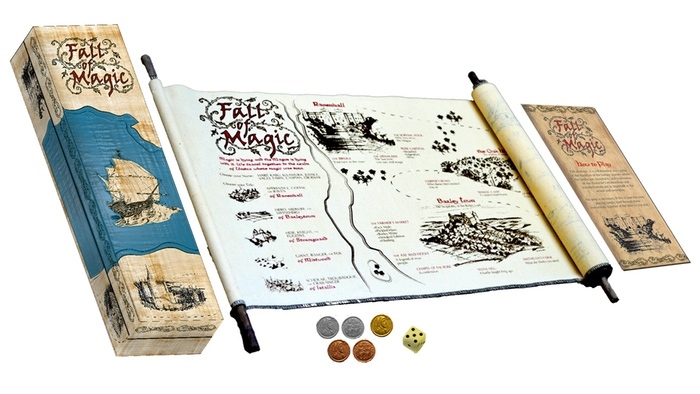 It’s a roleplaying game that’s played using a handmade scroll, which is unrolled as you make your way through your journey. 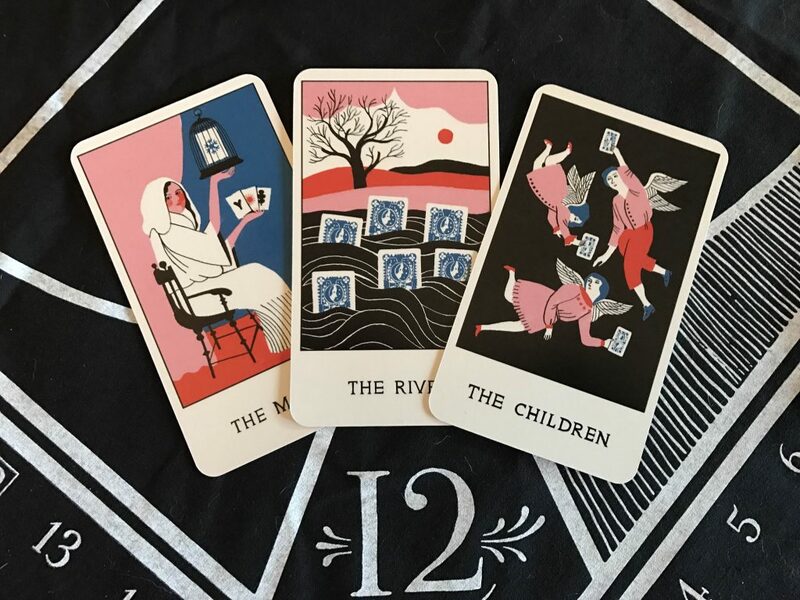 I want to learn more about this before I jump in – it’s not cheap, because HAND-MADE SCROLL – but there’s 24 days left, so there’s time to dig deeper. While I’m not a dad myself, I’ve long been a fan of the Geekdad website. Once upon a time they were affiliated with Wired, and after breaking free they had a protected struggle with Conde Nast over the Geekdad identity. They’ve settled, but they’re still paying the cost. As someone who’s run into this sort of problem with many things I’ve created, I sympathize and I’d like to see the site and team prosper. 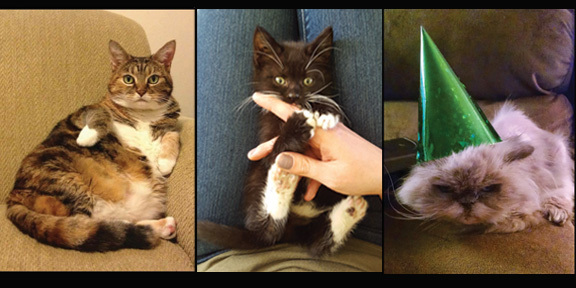 This is a GoFundMe campaign, so it’s an ongoing thing. My goal was to STOP staring at the computer for a little while, so I’m going to stop here. However, there’s still MORE campaigns that were recommended to me: Witch Hunter: Grand Tome of Adversaries (9 Days Left) and The Planet Mercenary Roleplaying Game (11 Days Left). Take a look! THAT’S IT! Again, thank you so much to those of you who backed Phoenix and helped to make my dream a reality; hopefully some of these other campaigns will also catch your interest! As I write this, there’s seventeen hours left in my first Kickstarter campaign. We’re closing in on a thousand backers, which is an amazing experience. I wanted to take a few moments to reflect on why I’m so passionate about this project and why I’m so grateful to everyone who’s put their trust in me. I’ve created a lot of worlds you’ve never seen. Collectively I’ve spent a decade developing worlds for MMORPGs that have never seen the light of day. As I don’t own any of those ideas, they’ve slipped into the IP tar pits never to be seen again. Eberron was my first opportunity to share a world on a wide scale, and it’s been an amazing, life-changing experience. I hope there’s a future for Eberron, but it’s out of my hands. I’ve supported it as far as I can on forums and on my site, but there’s many things I’d like to do that I can’t. Phoenix is a chance to share a world without those limits – a world that can be explored as deeply as time and interest allows. I’ve probably done it a disservice by focusing on the unique mechanics of the game – card-driven resolution and advancement through resurrection – as opposed to the world itself. Phoenix has a simple premise that can be summed up in a sentence, but the world itself is filled with layers and mysteries. It’s a world without easy answers, with room for both intrigue and action, and I’d love to develop it further in both games and fiction. And like Eberron, it’s a world I want to share. I’ll give you my answers to its mysteries, but I want you to be free to come up with your own – to take any inspiration it offers and run with it. You could separate the setting and system of Phoenix if you wanted. With some work, you could translate it to D&D or use the Phoenix system in Eberron. However, the system excels at telling a certain sort of story – and the setting is built around those stories. 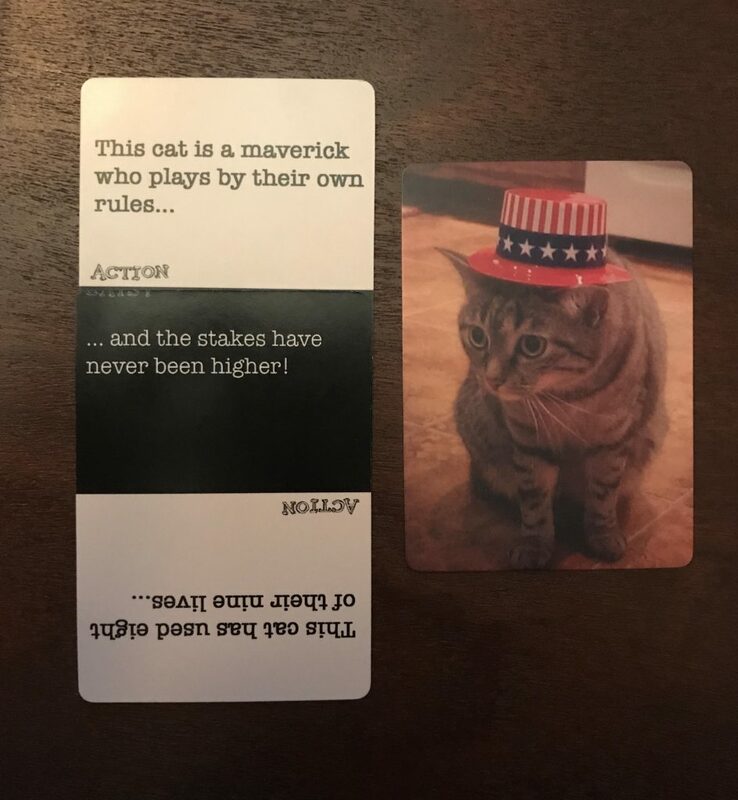 It’s a setting where the stakes are high, the odds aren’t in your favor, and where your missions are more important than your lives. I’ve run over ninety sessions of Phoenix over the last few years, and I’ve killed a lot of characters – but I’m amazed how often those deaths feel like triumphs instead of failures. 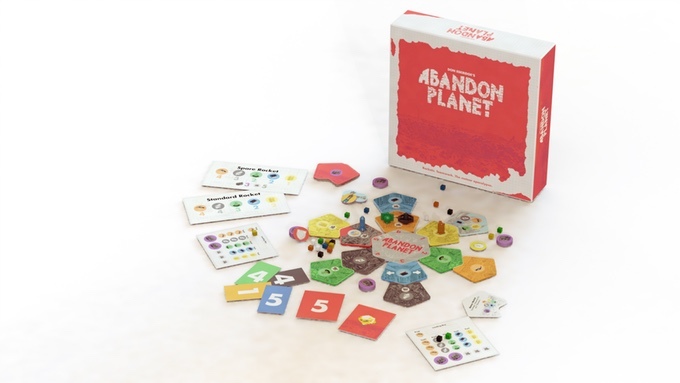 My co-designer Dan Garrison wrote a piece about this, using examples from actual play sessions. I could write pages and pages, but the key is that I love both the world and system of Phoenix: Dawn Command. Thank you to all of you who have made this possible, and who are taking a chance and exploring this new world with me. Rich Malena has made a series of short videos that walk through the mechanics of Phoenix, including Character Creation, Skill Spreads and Combat. The OneShot Podcast has a full play session where I’m running Phoenix for Will Hindmarch and the rest of the OneShot Crew. Here’s part one and part two. You can find lots of posts on my website – and a series of design diaries from our artists at the Twogether Blog. That’s it! If you have any questions please ask, otherwise I’ll see you on the other side. Up to this point I’ve mainly talked about the story of Phoenix: Dawn Command at the highest level: The Empire is fighting the Dread (and losing). This is a good one sentence description of the concept. A group of nations is facing a terrifying supernatural threat. But it’s a statement that implies a clash of monolithic forces and paints a very simplistic view of the setting – and I want to dig a little deeper. Because both the Empire and the Dread are anything but monolithic or simple. Over the last three years the people of the Empire have suffered a wave of attacks and supernatural terrors. They refer to this as The Dread. But really, “The Dread” means “Anything we don’t understand.” Part of the terror of the Dread is that there’s no logic to it – no obvious connection between its many manifestations. The Bones are the skeletons of soldiers from past wars who have risen up to fight the living. They retain the skills of the former lives and fight with military discipline. In the south, a legion of Bones has been steadily advancing and slaughtering everything in its path… and no one has found a way to stop it. Smash the Bones and they just rise again. The Chant can start anywhere. Someone begins chanting and trying to kill those around them, and this behavior spreads rapidly. That’s about all that’s known. How does it spread? Is it from physical contact or hearing the Chant? How does it get started? The Fallen Folk are figures from Skavi folklore, mysterious and powerful beings who dwell in the Dusk and bargain with mortals. Some feed on greed or fear. Others can offer great power to a clever warlock. The first Phoenixes drove the Fallen from the world and forbade any dealings with them… and now the Fallen have returned. These are just three manifestations of the Dread… and the only obvious thing they have in common is they’ve all appeared (or re-appeared) in the last few years. The Fallen don’t work with the Bones. 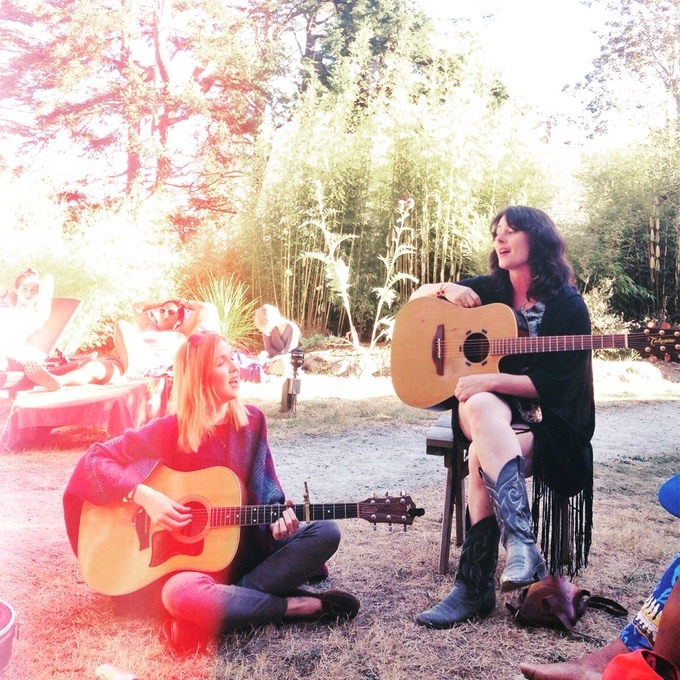 Neither Fallen or Bones appear to have anything to do with the Chant… or the skinchangers… or the hauntings… and so on. As a Phoenix you will be fighting manifestations of the Dread, but the most important thing you can do in any mission is to understand the enemy. Stopping a particular outbreak of the Chant is a minor victory if you can’t understand why it’s happening in the first place or how to help mortals deal with the next outbreak. Likewise, we say that one of the major drives of the story in Phoenix is to solve the mystery of the Dread. But it’s not a mystery with a single answer; you won’t finish one adventure and know EVERYTHING. Instead, it’s a puzzle with many different pieces, one that could take multiple story arcs to completely unravel. The seven-mission adventure path that ships with the game deals with a particular subset of the Dread, and you can solve that particular puzzle… but you’ll still be a long, long way from a complete understanding of the Dread. In a way, it’s a Lovecraftian scenario. This is a world where magic exists, and yet it is something that has been buried and forgotten. It is a dangerous force that often causes great harm to those who delve into its secrets. And now the stars are right and terrible things are happening across the world… and you need to investigate these threats and deal with them before your world is destroyed. It’s simply the case that those threats are actively in the process of destroying the world – and you’re an investigator with tremendous personal power and seven lives. Next up: The Empire. This conjures an image of a tightly unified civilization with a monolithic culture. In fact, the name is quite deceptive. Centuries ago the nations of the Daylit World were divided. Each practiced different forms of magic. Many fought each other, or simply preyed on their own people. The first Phoenixes put a stop to this, using their power to systematically conquer and unite the disparate nations, and to end injustice and the use of magic. They called this the Pyrean Empire. But it didn’t last. Resentment grew and eventually many people rebelled against their immortal leaders. The civil war that followed was bloody, and in the end the Phoenixes abdicated to bring an end to the destruction. They wouldn’t rule the Empire; they would simply protect it from the sidelines. And so they did, for a time. But the new Empire no longer needed them, and they stopped returning from death. Their numbers dwindled and faded. Many of the changes they had instituted stayed in effect. 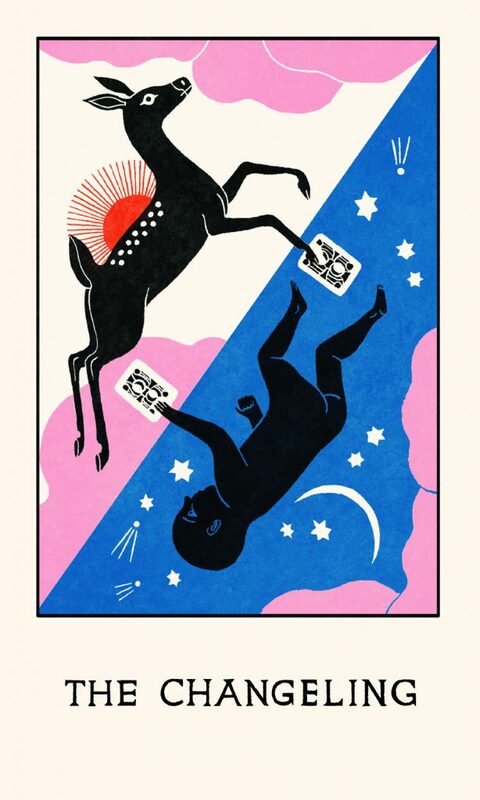 Magic remained abolished. The peace between nations continued, by and large. The Empire was a loose alliance, but it lasted through two centuries of relative prosperity… until the Dread. So we call it the Empire, and there is an Imperial Army, Imperial roads, and other unified services… But every province retains its distinct culture, and some cleave more tightly to Imperial customs than others. Meanwhile, as of a few years ago the Phoenixes had become legends. Now they are finally returning, but they are few in number and opinions are divided. Are they heroes of old and the only hope against the Dread? Or are they themselves harbingers of doom, would-be tyrants, or manifestations of the Dread itself? Your actions over the course of the campaign will determine the role that Phoenixes will play within the Empire. Will you try to re-establish the order imposed by your predecessors? Will you stop other Phoenixes if they follow this path? The upshot of all of this is that there’s nothing simple about “The Empire fighting the Dread.” This is the conflict that will drive your initial missions… but it’s a setting with a great deal of depth and complexity, and there are many stories to be told. And just like Eberron, this is your world as well as mine. Dan and I are creating a foundation to work with, but it’s always up to you to decide what to keep and what to change… and quite often we’ll offer suggestions as to changes you can make. We want our setting to inspire stories, not to limit them. We’ve got five more days left in the Kickstarter campaign and we still need your help to reach our stretch goals – especially the mark that will let us add 40 pages to the sourcebook! Take a look. The Dread began three years ago with the rise of the bone legions in the south. Since then it has spread across the known world, a waking nightmare that takes hundreds of horrible forms. Ghosts howl in the night. Skinchangers lurk in the wilds. Fallen soldiers rise to slaughter the living. Entire cities fall to a Chant that turns all who hear it into mindless killers. We don’t know why this is happening. We don’t know how to stop it. All that we know with certainty is that we are fighting a war and we are losing. Over a third of the Empire has been lost to the Dread, and each day brings new horrors. In this dark time we have one hope: Phoenixes are returning. Every citizen knows tales of the Phoenixes, champions who can face death and return stronger than before. In the centuries following our brutal civil war the Phoenixes have become legends… and now you are one of them. 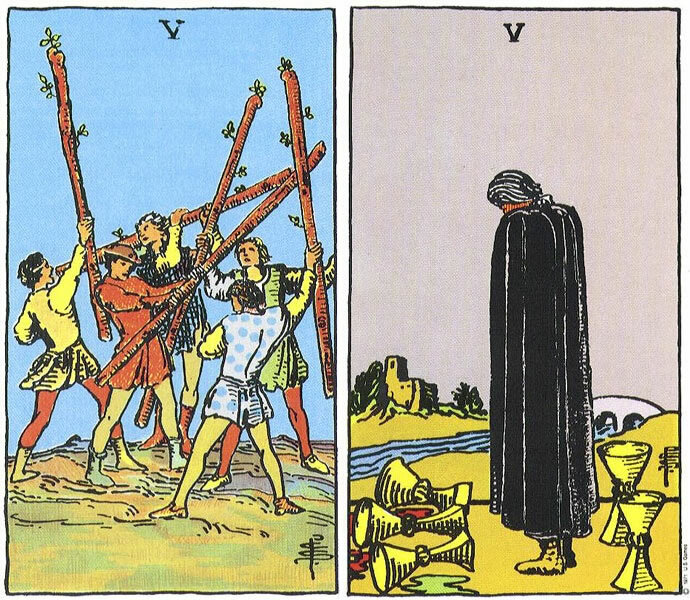 Whoever you were in your first life, you have overcome the challenges of the Crucible and returned to the daylit world with the power to face the forces of the Dread. Go forth. Complete your mission, discover what you can of the enemy, and don’t place too high a value on your own life. Die well and you’ll return stronger than before. Just make certain that you make each death and each life count. We’ve got just over a week to go in the Phoenix: Dawn Command Kickstarter campaign. 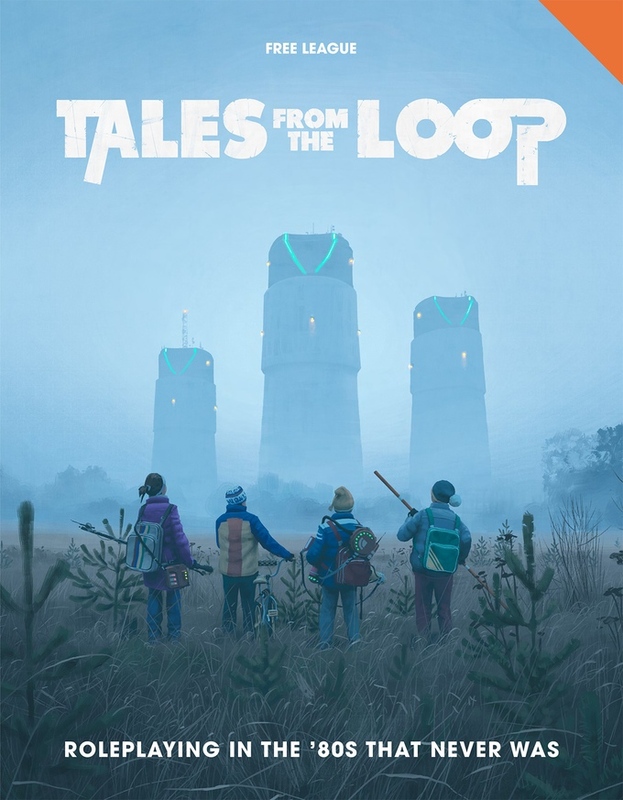 We’ve hit our initial funding goal, and now we’re working towards stretch goals… including story elements designed by Jason Morningstar, Ken Hite, Robin D. Laws and more! If you want to see (or hear) more about how the game works, you can check out Richard Malena’s videos on Character Creation, Skill Spreads and Combat, or listen to a full session of play on the One Shot Podcast (part one and part two). Phoenix: Dawn Command is more than just a game. It’s a new fantasy setting. Dan Garrison and I have been developing it for the last 18 months, and we’ll continue to explore it in years to come. The game includes a guide to the world of Phoenix which gives you all the information you need to develop stories of your own. When I develop a world, one of the first questions I ask is what sort of stories the setting supports. What are the questions it asks and answers? What makes it interesting and different from other worlds? Eberron was designed to have a very different flavor than traditional high fantasy, and Phoenix is just as unique. It is a world facing a threat so dire that sacrificing your life to accomplish your mission feels justified… and a system that gives you greater control over your actions than generally comes from the roll of a die. Magic exists in the world of Phoenix. But it’s not a tool that has been harnessed by civilization. Instead it is a powerful and dangerous force, still largely unknown and unmastered. Every culture has dabbled with magic in different ways, and these practices produced both wonders and terrors. Because of the danger, the first Phoenixes abolished these traditions when they conquered the Known World and established the Empire. The shamans of the Grimwald still revere the forces of nature, but it has been centuries since they’ve bound primal spirits to their warriors. While the Shadovar respect their dead, few among them have preserved the old paths of necromancy. Skavi warlocks are forbidden from bargaining with the Fallen Folk, though some still believe that their families are bound by ancient pacts. The power is still there, but the people of the present age know little about its potential… or its dangers. This means that normal people largely live in a world without magic. The fastest way to travel is still horse or boat. Long distance communication is very limited. This means that it’s very difficult for people to respond to the challenges posed by the Dread. When there’s an outbreak of the Chant in a village, but the time people in the next village over even hear about it, it’s too late to do anything. Even if speed wasn’t an issue, the Imperial army simply isn’t equipped to handle spirits of vengeance or skinchangers. Essentially, this is a civilization without magic that is now facing myriad mystical threats… and it doesn’t have the tools to deal with them. Some people are turning to the old ways in the hopes of finding effective weapons, but this often ends up creating more problems than it solves. So magic exists in this world… but at the moment it is more threat than a positive tool. This ties to the fact that mystery is a big part of what drives the story of Phoenix. There is an underlying logic to magic… but the people of the Empire don’t understand it. There is an explanation for the Dread, something that can explain why this is happening and how these diverse threats relate to one another… but you’ll only be able to piece it together by facing these dangers head-on. As of three years ago, Phoenixes were a thing of legend. Now you are a Phoenix and can face the forces of the Dread. But there is still much you don’t know about the Phoenixes themselves. As a Phoenix, you can respond swiftly to threats. You can be dropped into danger with enough time to face the challenge. But merely defeating a monster won’t solve your problems. Simply putting out a fire won’t help if you don’t understand why the fire began, or even what fire is. This is part of what drives the story of Phoenix. It’s not simply about the action, about what sacrifices you’ll have to make to overcome the terrifying threats you face. It’s a question of whether you can unlock ancient mysteries in the process… whether you can learn the rules of magic and the secrets of the Dread. Unlike the Mourning in Eberron, in Phoenix there are answers to these questions. The nature of magic and the origin of the Dread are critical parts of the setting. With that said, I am a firm believer in the idea that a setting should inspire stories rather than restrict them. The Marshal’s Guide provides an in-depth exploration of the world and its secrets… but it will also provide ideas and hooks for diverging from the core story and making the setting your own. We’ll provide you with everything you need to play with no effort at all, but we’ll also give you the tools you need to create your own stories and to take things in different directions. One of the constant questions of world design is How much is too much? When you’re delving into history and geography, how deep should you go? Should you come up with a list of ruling families stretching back a thousand years? How many cities and countries should you create? My answer is always to look at the idea you’re working on and to see if you can think of three interesting stories that you could build from that element. Whether you’re creating fiction, an MMORPG or a pen-and-paper campaign for friends, can you think of any way that a particular idea could be important to your final audience? Could there ever be a reason a player/reader will need to know about that list of ruling families – a mystery hidden in the past or a bitter vendetta – or are you just filling a page with details no one will ever need? Looking to cities and villages, I don’t want to put every single settlement on a map, because I always want there to be space for a gamemaster to add something new if their story demands it. I want to make sure I provide enough concrete points to for a GM to work with… but I also like to leave space for the unexpected. Likewise, adding in dozens of countries or cities often means quantity at the expense of depth. Phoenix is a small and focused world, a play where we explore a few regions in depth instead of spreading ourselves thin. With that said, people often assume that “The Empire” is a bland, monolithic force. In truth, the Empire is largely just an idea. Long ago the first Phoenixes conquered the nations of the Known World and established the Empire. But in practice Phoenix rule didn’t last long before civil war drove the Phoenixes from power and into the realm of legend. The Empire has long been a loose alliance at best, and each province is culturally unique. As a Phoenix, one of the long-term questions you need to face is the role Phoenixes should play in the world… whether you will follow in the footsteps of your ancient predecessors and seek to rebuild the Empire of old, or whether you want the new generation of Phoenixes to walk a different path. I could fill a book with more information about the world of Phoenix… and I plan to! For now, the critical things to know are that magic is a powerful force in the world, but one that’s largely a mystery to the people of the present day; that the world is facing an existential threat whose origins and nature are largely a mystery; and that you are a mystically empowered champion, but there’s still much you don’t know about your own potential and the origin of your power, let alone the nature of the Dread. Phoenix is a game of action where you will be thrown in harm’s way to protect the innocent. But it is also a game of discovery… and unlocking the secrets of the world is part of the fun. The Phoenix: Dawn Command kickstarter continues to move closer to our goal. A few new developments: The OneShot Podcast has posted the second half of the game I ran for the OneShot crew and Will Hindmarch. And if you haven’t already seen it, playtester Rich Malena put together a great video that explains the Skill system. Meanwhile, we’ll have a video of a game session up soon, and I’m continuing to profile the characters that appear in that session. Phoenixes are divided into six schools. These are tied to the nature of your previous death and the lessons you learn from it. 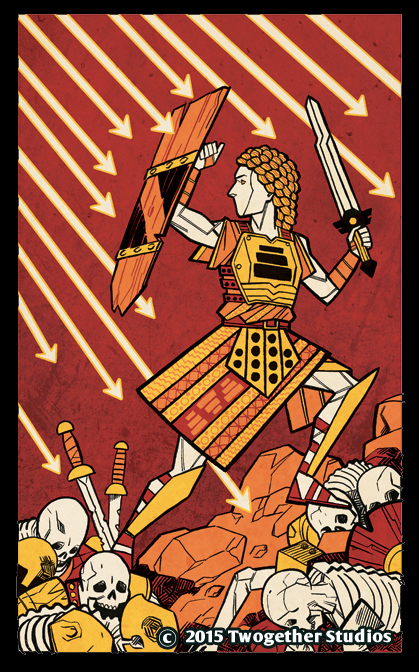 Your first death – the one that occurs before the game begins, when you first return as a Phoenix – provides you with a set of core abilities and skills. Over the course of a career you may die many different sorts of deaths and learn lessons from multiple schools, but those core abilities will always be the foundation of your character. Thus, when I say “Durant Phoenix” I mean a Phoenix who’s first death was Durant. The heart of the Durant school is Survival. The Durant is a strong melee combatant who specializes in defense and shrugging off damage. While athletic and durable, the Durant is also trained in leadership and the arts of war; the Durant is the member of the wing best suited to commanding groups of mortal soldiers. Durant lessons focus on durability, defense of self and others, and enhanced leadership; other lessons and traits key off the Durant’s health, so a Durant is strongest when uninjured. Taken together, the Durant is one of the simpler schools to play and a good choice for a someone who’s not quite sure about Phoenix’s approach to character death. While outliving other characters can sometimes leave the Durant lagging behind other Phoenixes in pure power, some Durant lessons take advantage of this. The Durant Bond lesson allows your Durant to take the core powers of any member of your wing who dies and use them until your ally is reborn… so if you end up being the last one alive, you’ll have an arsenal of lessons to work with. Today we’re looking at Shepherd, the Durant Phoenix. 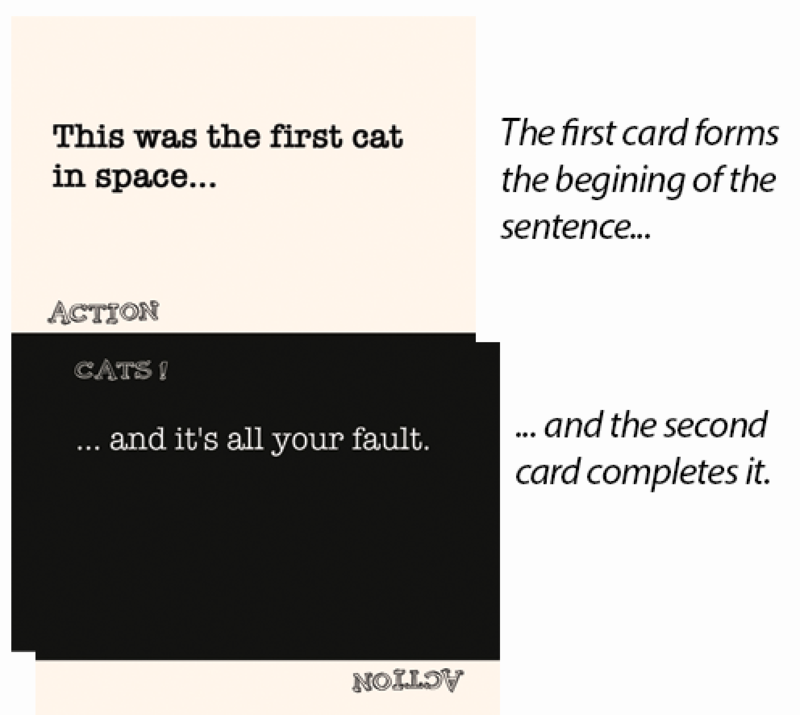 What I’m showing you here is a pre-generated character that I’m using in demo sessions; normally the questions posed below are entirely open-ended as opposed to being multiple choice. Shepherd is a fairly straightforward, heroic character – but you can certainly have a Durant with a darker outlook on life. Shepherd’s story is a simple one. 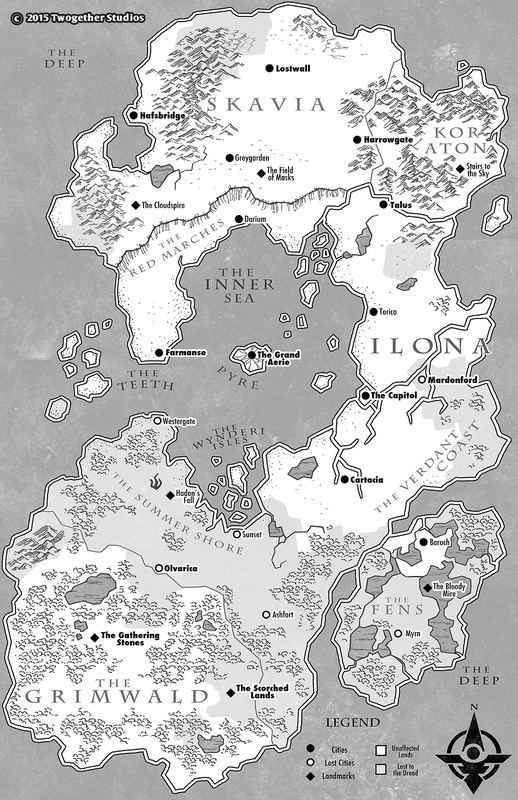 Ilona is where the Empire began, a fertile region with an ancient civilization. Shepherd began as, surprise, a shepherd and died defending her village. The traits she’s selected focus on courage, determination and the military training she’s gained in the Crucible. She’s a very team-oriented character; Commander and Absolute Conviction both allow her give allies a boost to their actions, and Seasoned Veteran lets her leap in front of an attack meant for one of her wingmates. Meanwhile, Valiant allows her to add her Health Levels to an attack, providing an incentive to avoid injury. Shepherd organized a village militia and successfully beat back a threat, only to die due to the wounds she’d suffered. She is determined to uncover the mystery of the Dread and avenge those who have suffered, and she cares about the entire Empire. As such, this Shepherd will likely trumpet the virtues of the Empire and Dawn Command… whereas a Shepherd who only cared about her village could be more critical of the Empire and blame it for failing to defend her people from the Dread. Many characters have deep fears that speak to their pasts or their deaths… but hey, some people just don’t like bugs. And that’s OK. In upcoming posts I’ll look at the last member of this wing – the Devoted Phoenix Drake – and provide more information about the world of Phoenix.